A father and son explore the depths of scuba diving in the Southeast. Jim and Alex Paczinski love adventure. As the oldest of Jim’s five children, Alex (age 14) is his dad’s hiking companion, copilot and, most recently, scuba-diving buddy. 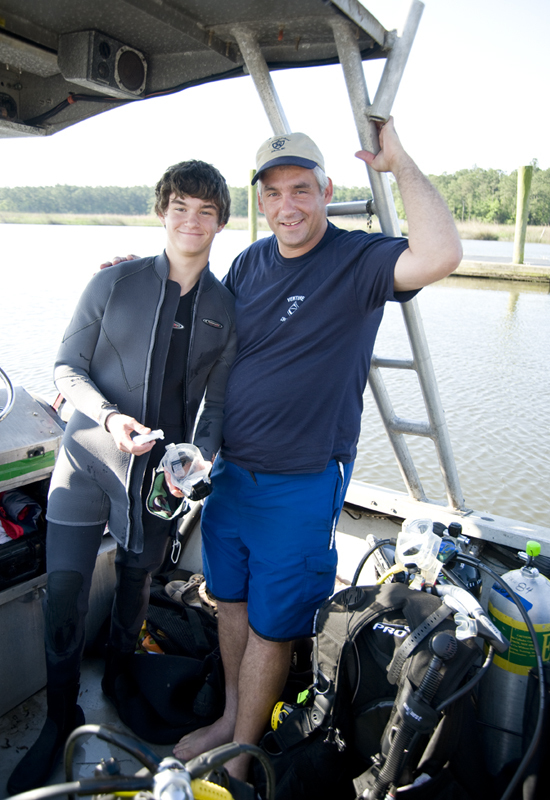 It was their quest for underwater exploration that brought this father-son team from Aiken to the Lowcountry for a four-day scuba course. According to Tom Robinson, owner of Charleston Scuba, the Lowcountry is one of the best places to dive because the water offshore is warm and contains an amazing number of fish. “The Cooper River is also a world-class location for finding fossils and artifacts,” he adds. Along with his wife, Sally, Tom owns Charleston’s only five-star PADI (Professional Association of Diving Instructors) dive center. After finishing their initial training, the father and son had to complete a dive in order to receive open water certification, which they did on a trip that Charleston Scuba organized to Florida’s Rainbow River. They also took additional classes in order to receive their advanced open certification ($245), which enhances core skills like deep diving and navigation. While on a dive at Troy Spring, Florida, “we actually went to a depth of 73 feet and carved our names into a log at the bottom,” recalls Jim. But they didn’t stop there. The pair also completed an Enriched Air Nitrox certification class ($195) in order to be able to extend their dive times, following up with dives on the Cooper River. They were amazed by the fossilized great white and mako sharks’ teeth they found. 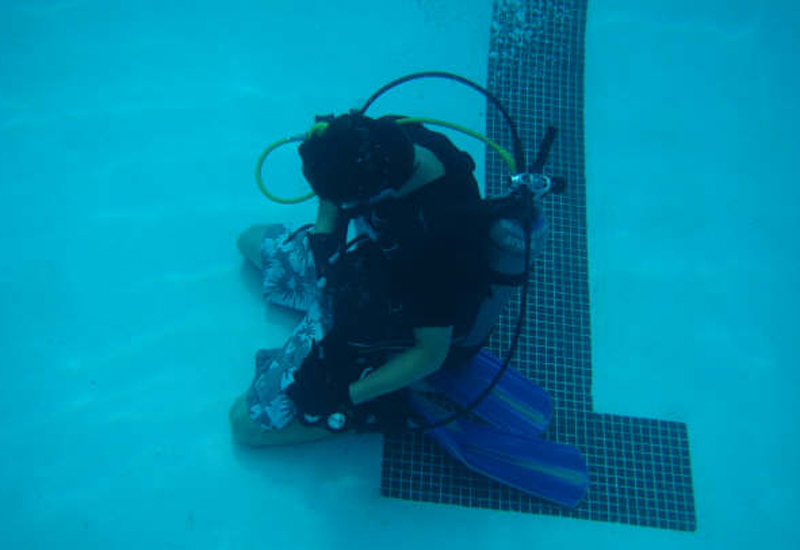 “The best thing about all the classes we’ve taken is that I know we’re gaining every skill we need to feel comfortable diving anywhere,” says Alex. Starting around age eight, children can become involved in scuba-diving activities. For the smaller set, Charleston Scuba offers a “Snorkeler” pool program designed to introduce swimmers as young as three to snorkeling ($35-$25). A shallow-water pool class that allows kids ages eight to 11 to try basic diving skills. This three-day program for ages eight to 11 teaches children about the underwater environment and gets them on the way to becoming certified divers. Kids ages eight to 11 meet every third Saturday to learn to night and wreck dive, search for artifacts, identify underwater sea life, take underwater photographs, and more while working toward a Master SEAL Member Certificate. Youth ages 10 to 15 complete the same certification course as adults. Once certified, children ages 10 and 11 may dive to a depth of 40 feet when accompanied by a parent/guardian. 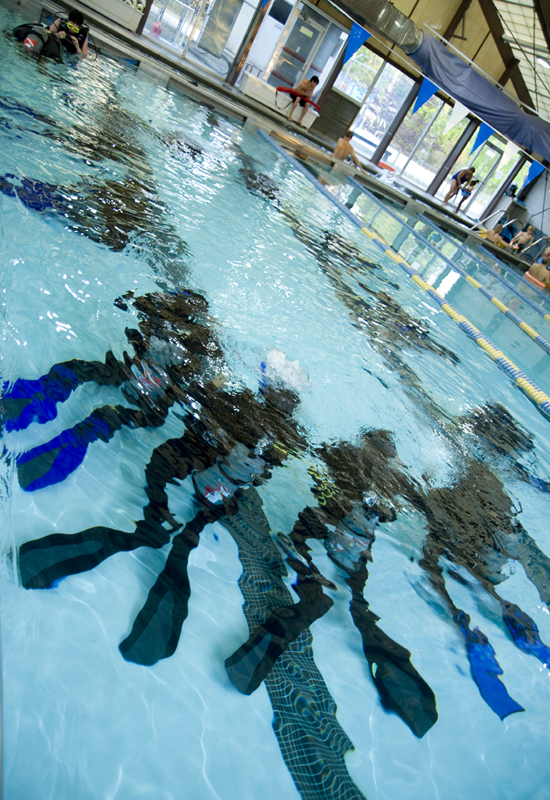 At 12 years old, certified divers may go down to 60 feet. 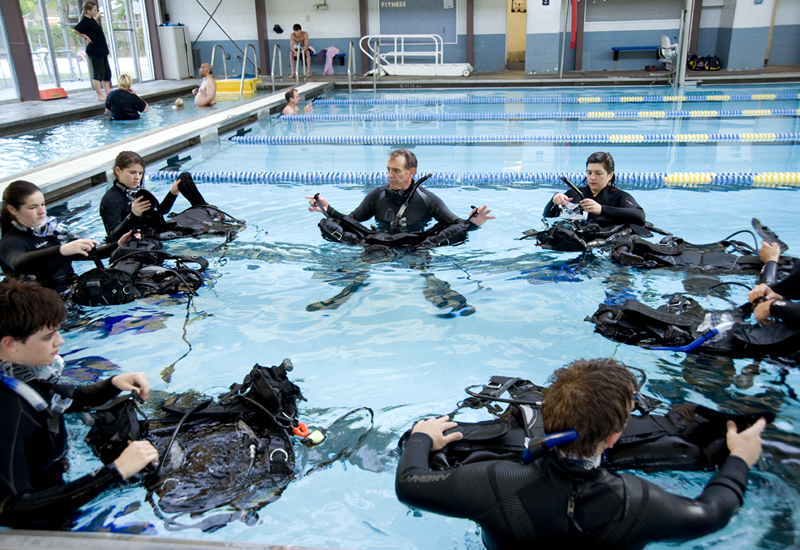 For more details, log on to www.charlestonscuba.com or call (843) 763-3483.